This was an interesting project, a prototype for a dining chair/set base on a gestural and creative sculpting. 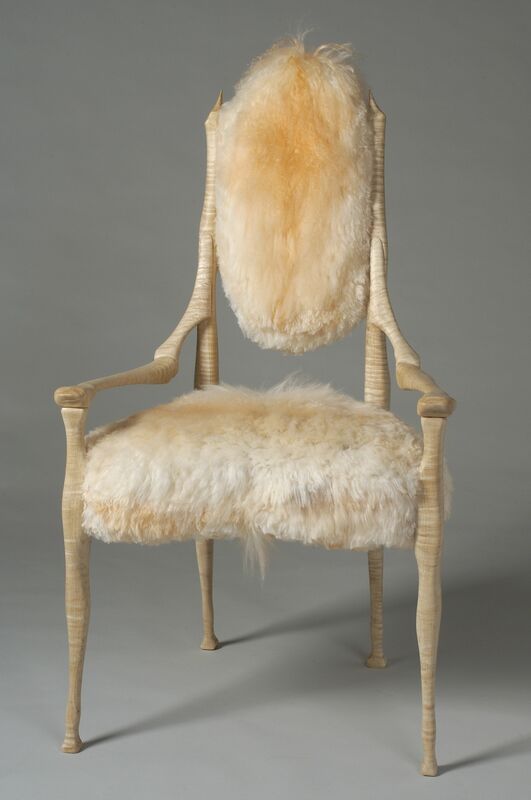 The wood is highly figured eastern curly maple, the upholstery is a Tibetan lamb hide. It is one of a kind and is available as such, but could be part of a whole dining set of chairs and table. It could also be used with a uniquely designed game table or desk.